There are some very exciting plans being hatched at Indie Untangled HQ! Well, most of it is taking place via email. 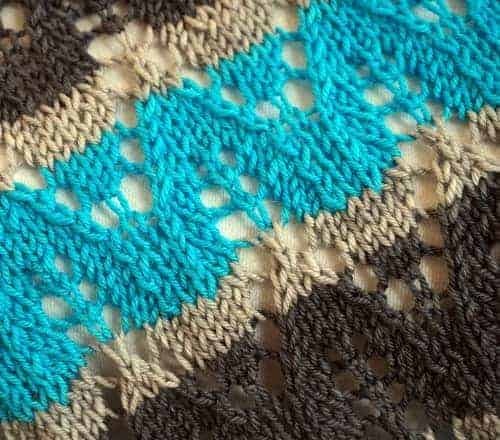 While I’m not quite ready to provide the specifics of what I’m planing with three of my favorite fiber industry folks, the above photo of a recent project by designer Lara Smoot provides a little sneak peek. If that intrigues you, you’re going to want to keep track of the blog in the coming weeks. For something in the more immediate future — Maryland Sheep & Wool is almost a week away! 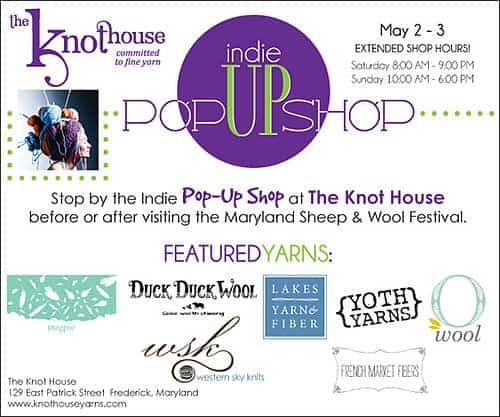 I’m not sure when exactly I’ll be at the fairgrounds, but I do know where I’ll be Friday night: The indie pop-up at The Knot House, where I’ll be trying not to buy all the Duck Duck Wool/French Market Fibers/Magpie/Lakes Yarn and Fiber, etc. And, if you need somewhere to put all your pop-up purchases, That Clever Clementine will have some goodies for sale. You can also snag a free Indie Untangled button/piece of flare for your project bag. Are you planning to go? Definitely comment and let me know! This entry was posted in Indie Untangled and tagged indies, kits, limited. I’m going to my first yarn festival, but I think I am more excited about this pop-up shop! !